Xiaomi seems more interested in building up hype than being secretive, as you can tell by their official promo video above. Judging by the video, it isn’t the dual selfie cameras (plus the selfie flash module) that slide up, but the screen that slides down. While the lack of a motor is good for durability, this solution does bring the risk of the screen connector breaking and resulting in a dead panel. The phone will also be the first to feature 10GB of RAM, which is nearly as awesome as it is excessive. Based on several leaks, however, that will only be coming in a special edition of some sort. There will allegedly be four regular models: a 6GB/64GB model for $510, a 6GB/128GB model for $555, an 8GB/128GB model for $600 and an 8GB/256GB model for $645. They'll all have a Snapdragon 845, of course. Those prospective prices are simply converted to American dollars; only Chinese availability has been announced. Several other countries that received the Xiaomi Mi Mix 2S, such as Australia, may get the Mi Mix 3 later. Xiaomi says the Mi Mix 3 will be one of the world’s first 5G phones, although rumor has it that only the 10GB special edition will have the functionality. If Xiaomi were to launch the 5G model within the next couple months it would be the first 5G phone, so that suggests that it'll be released sometime after the others. A Xiaomi official revealed that the phone would have a 1080 x 2340 resolution, and it’s rumored that it’s a 6.4” Samsung AMOLED panel. Other leaked features include a rear fingerprint scanner, a glass back that may (but probably not given the cheap prices) allow for wireless charging and reasonably fast facial recognition. It doesn’t have a headphone jack. The dual rear cameras are a 16MP main lens and a 13MP telephoto lens, and they’re going to be capable of 960fps slow-motion, according to XDA developers who found the details in the code for the camera app. Unfortunately, however, the 960fps will be achieved by interpolating 240fps footage, resulting in a sub-par experience compared to phones that can do it natively such as the Sony XZ3 or Samsung Galaxy S9. In line with Xiaomi’s focus on the artistic in the Mi Mix 3’s promotional material, they say that they designed the “ceramic white color” hand in hand with the British Museum. While I’m sure the color is lovely, they’ve once again copied the iPhone X’s camera module exactly, and the whole ‘fake iPhone look’ isn’t exactly classy. The phone will be launched on Thursday in China, but it might be worth waiting a few days to see if the OnePlus 6T’s superior camera and under-screen fingerprint scanner make it a better option. I'll take a notch over this 10 times out of 10. Good riddance of the notch. Good design with the sliding part. Reminds me of the slide-out keypad design of the Sony-Ericsson Aino, K and W series etc., phones of those days. Non-compromising maximum utilization of screen space. Notch. No Notch. Does it actually matter to anyone? In any sort of functional way? I see notch and bezel %age mostly used to bash people's least favorite manufacturer because it's something to bash with. Caveman spears clubs grunt. Tech fanboyz notch bezel OS grunt. I suggest you DO NOT say they copied iPhone, since iPhone copied SHARP AQUOS!!! Great post other than that, really liked it. I laughed when apple introduced the variable focus in iOS 12, whilst my Nokia L1520 had it back in 2014. They are not copying stuff, simply take a round 2 on them and make it even better. Like with fingerprint reader in iPhone 5s, while Samsung and others had it read your finger 4-5 times out of 10 give or take. But this round 2 not every time a good one. People don't care about facts, in their minds Apple invented everything from wheel to electricity to bezeless phones. 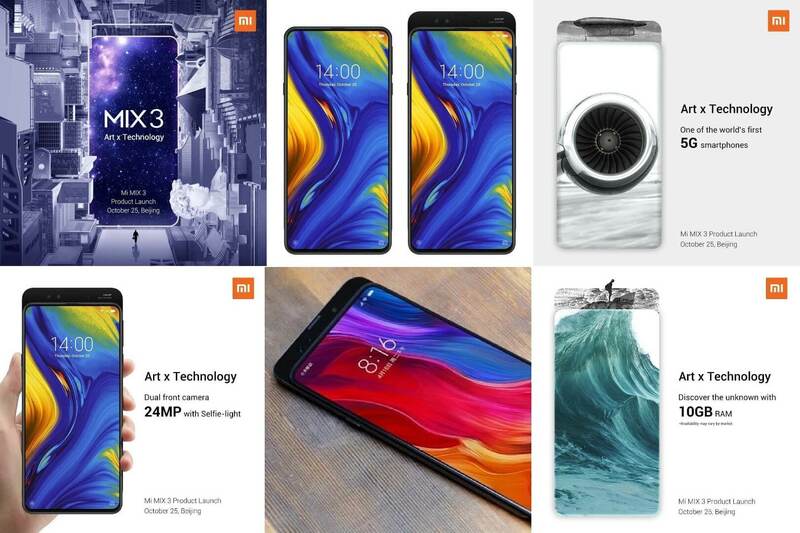 I agree however that Xiaomi likes to copy a lot more than the rest. Do people love mouthing off the word "Bezel-less" despite the phone in question having rather thick black bezels encompassing its screen? it is rather relative, but do not get confused by the frame (chassis) of the phone and the bezel-less screen/display. "People." I'm assuming this actually refers to the tech press who know that Apple in the headline means fanboy clicks? That's a business decision to generate Ad money. I can't think of a single person I know who has claimed that Apple invented this or that tech. I see a lot of people every day (customer support), most of whom own Apple phones and whichever company invented this or that is irrelevant to them. They use an Android or an iPhone because they like it. This is a fanboy argument only. 6.4" screen? Are they crazy? Is it only made for the girls? And "guys" (in colorful clothing) who wear purses? Because a normal guy has no place to put that thing, without breaking it when he sits. 5.5" should be a maximum for a cellphone. Anything about that is a tablet. No, there's no "phablet". That doesn't exist. Anything that you call "phablet" is actually a tablet. It's not a phone. It's not for guys.